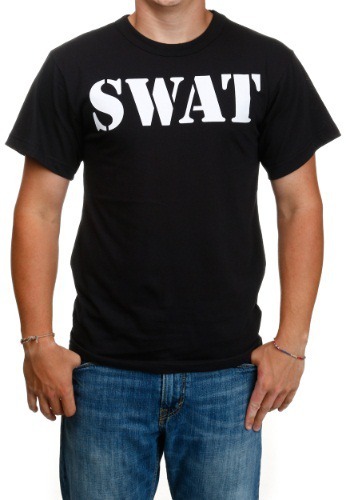 Throw this Black SWAT T-Shirt on and raise some eyebrows. Everyone will be wondering when you joined this elite group of law enforcement. 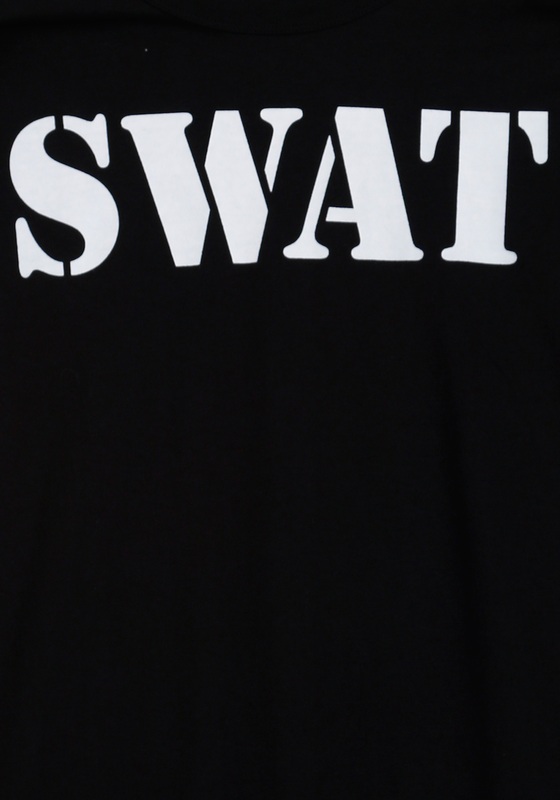 Although, don't be surprised when everybody is asking what exactly SWAT stands for again and again and... well, you get the point. Rather than getting annoyed, get some hoots and hollers out of the situation! You may already know that this team's name is an acronym that stands for Special Weapons And Tactics, but be creative and have some fun. Tell everyone that you've really been enjoying your time as part of the police's Secret Waffles And Tacos unit. If the question comes up again just politely tell them you had a great time last week on the Seashore Walkers Anonymous Tour. Hangout at a Halloween party wearing this tee and if anyone asks where your costume is, just point to the writing on your chest and tell them you're the Scary Weird Angry Thing! 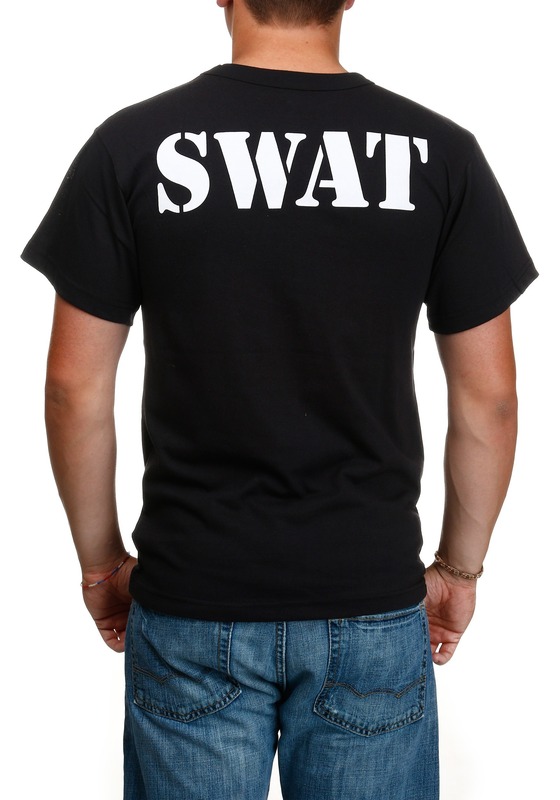 Make up your own acronyms for SWAT and have a good time making everyone laugh on Halloween and every day that you decide to wear this awesome shirt.